All children can learn... but differently! School exams for most, is the fear to fear. 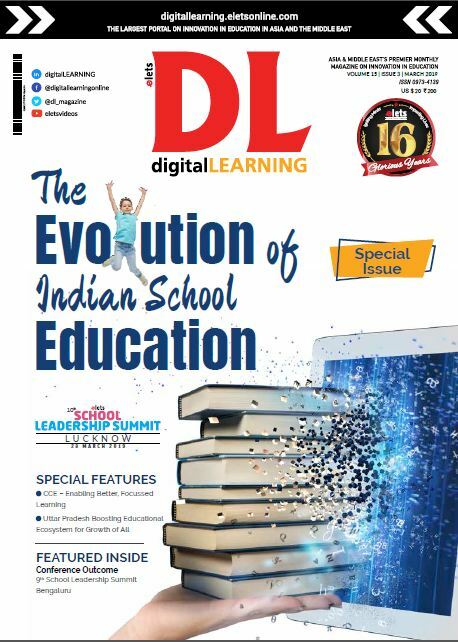 But this issue can be easily tackled by understanding individual attributes of every child and enabling personalized learning which is tailoring of pedagogy, curriculum and learning environments to meet the different learning needs and aspirations that allows a child to keep learning, growing, and changing. Etymologically, the word education is derived from the Latin word educare meaning “bring up”, which is interrelated to educere meaning “bring forth what is within” and ducere, “to lead”. Efforts at all levels should be made so that a child enjoys whatever is taught. Education is complete only if it encompasses head, heart, hands-on and health. Head needs information & knowledge. With the limitless supply of online-courses, books and other aids, there is no excuse. The solution is starting a new habit. For example, while travelling, instead of listening to FM Radio children can switch to an audio book. Kids must also engage in some social service to build their emotional quotient and engrain values. It’s important to get ‘hands-on-training’. Children ought to learn at least one sport. The playfields can open their minds to endless potentiality, most importantly it teaches team spirit, focus and concentration. For holistic development of a child, his health both physical and spiritual ought to be taken care of. ‘Learn- Unlearn- Relearn’ is not a choice but an essential tool for visioning in the future and preparing oneself to accurately predict and perform. Learning fills and makes a complete human being by developing the emotional-mental-spiritual-social quotient. 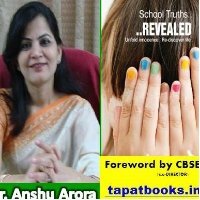 An extract from Dr Anshu Arora’s book ‘School Truths REVEALED’ where the five characters namely Surujeet, Tanvi, Anshika, Robin and Suja(narrator) talk about examination and give us an insight about the varied learning techniques. ‘I stick to Hanuman ji approach. Whenever in doubt, just write everything you know about that. The kind teacher may have mercy on you and award you some marks,’ said Tanvi. Probably it was her tried and tested formula. ‘Tanvi, regularity and learning daily is the technique you should adopt,’ suggested Surujeet. ‘Surujeet is right. We understand everything, the only challenge is to remember it at a later date,’ remarked Robin. ‘The RAM- random access memory displayed on the black-board and the class discussion needs to be converted into commented Anshika. Information has to be carefully stored to ease its retrieval later. ‘I have no problems in learning,’ I said. ‘Ya.. ya.. the genius,’ taunted Tanvi. ‘Not exactly but I devise ways to understand, assimilate and remember,’ I countered Tanvi. ‘Ways?’ she wanted to know more. ‘Yes, we are all different and so are the learning abilities. If my brother and I have to write an exam on the book “101 things you didn’t know about Jane Austen”, he would probably learn the book cover to cover since he is good at cramming and is blessed with a photographic memory. But I would read, understand and devise methods to remember it all,’ I said. ‘Is it possible? How?’ asked Surujeet who wanted to learn the art of learning. ‘Yes, like acronyms – ‘VIBGYOR’ for seven colours of the rainbow namely violet, indigo, blue, green, yellow, orange and red. Simple sentences like ‘My very elegant mother just showed us nine planets’ gives out the names of the nine planets in an order – Mercury,Venus, Earth, Mars, Jupiter, Saturn, Uranus, Neptune and Pluto. Apart from this, I use mind- maps, charts and diagrams to understand well,’ I was giving a few of my learning tips. ‘Suja is right. I also use the association method. It really works,’ said Robin. ‘What is that?’ Anshika wanted to know. ‘Relating what you want to learn with something you already know, just like Santa reminds you of Christmas. Now December, 25th, Santa, Christmas tree can be co-related and associated with other things to learn and retain better,’ Robin explained. ‘I remember faces by associating them with people I already know. I guess I was using it without even knowing about it,’ Surujeet was introspecting his own thoughts. ‘Reading makes a full man, interactivity a ready man, writing an exact man and practice a perfect man,’ said Ansika. ‘Yes, indeed, a perfect man,’ smiled Robin. ‘Of course, girls are already perfect. But I stick to practice, practice and lots of practice both oral and written,’ smiled and suggested Anshika. Exams meant different kind of preparation for different children. Some acquired ‘exam ideas’ through previous years’ question-papers and some stuck to home tuitions. ‘Cram in exam’, ‘miss the test’, ‘notes to cheat’, ‘learn and retain’ was all happening at the same time. The author is the Principal of Bal Bharti School, Bahdurgarh and author of ‘School Truths REVEALED’ .